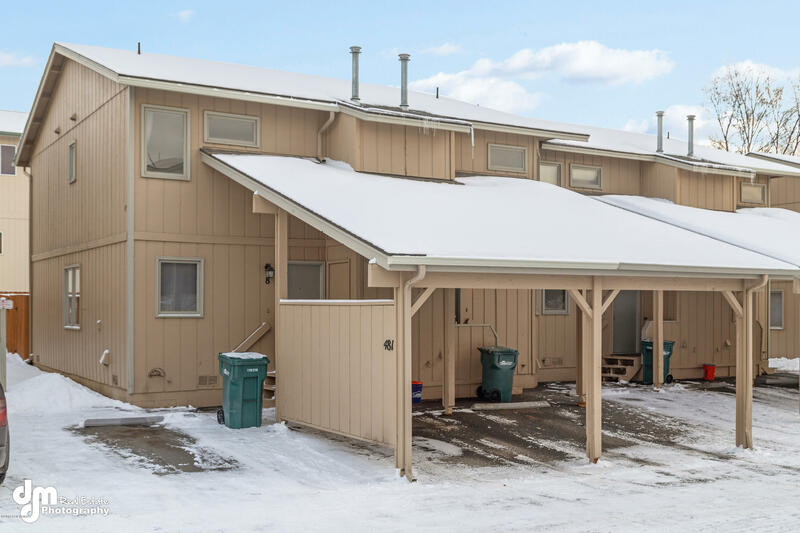 Cute condo in popular & desirable South Anchorage development. Updated w/fresh paint & new carpet. Also features a fenced backyard/patio area & covered parking. Fireplace downstairs for cozy nights by the fire and upstairs your own laundry W/washer & dryer included. Near Johns Park for dog walks & recreation, walking distance to ocean view elementary & Huffaman business area shops and stores.